Event log viewers are programs that track important events on your computer. Every app or program that runs on your computer leaves a trace in the event log, and before apps stop or crash, they post a notification. Every single event or change made on your computer is registered in the event log. 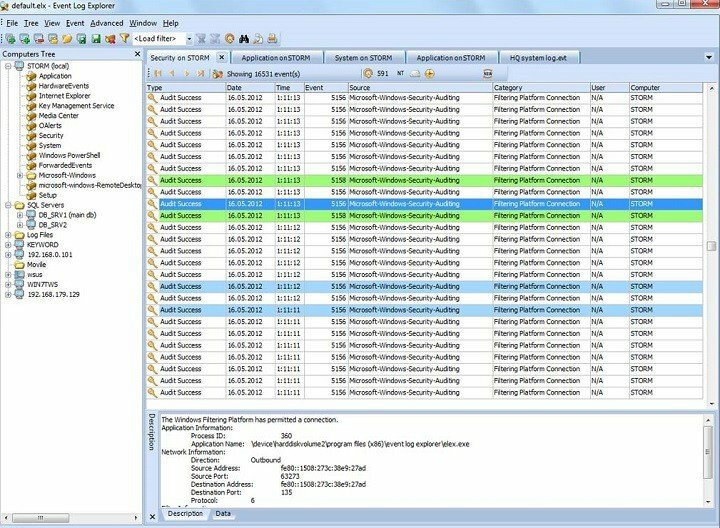 In other words, an event viewer is a program that scans long text log files, groups them and adds a simpler interface on huge amounts technical data. In case your computer doesn’t work properly, event viewers are essential because they offer you important information on the source of the problem. Windows 10 comes with its own built-in event log viewer that offers users an in-depth image about the processes taking place on their computers. If you want to analyze particular event information, you can also use third-party event viewers. Many Windows users rely on this built-in tool to check the events that take place on their computers. 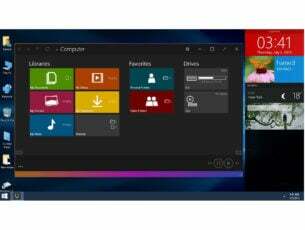 This tool has two major advantages: it’s already installed on your computer and has a very intuitive interface. 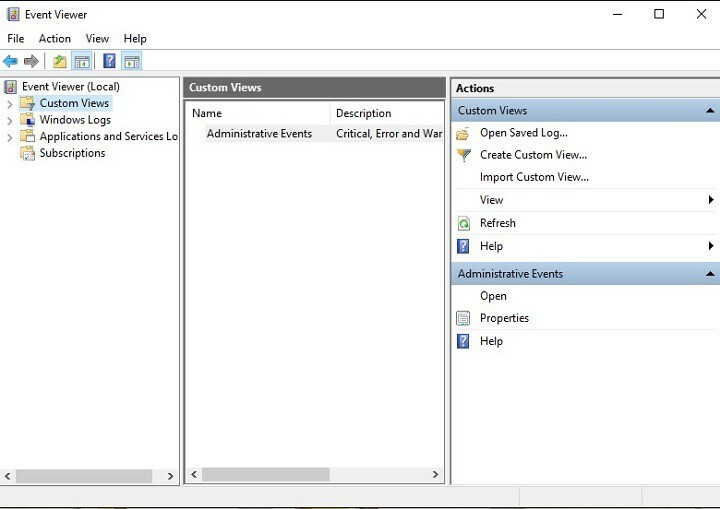 You can launch the Windows Event Log Viewer by typing “event viewer” in the search bar. The tool’s screen is divided in three parts: the event categories are located in the left-hand sidebar, details about log events can be found in the middle section of the window, while the available actions are listed in the right-hand sidebar. Application events: reports about app/ program issues. Security events: reports about the results of security actions. Setup events: mainly refers to domain controllers. System events: these are reports sent by Windows system files about the issues encountered, and are usually self-healing issues. Forwarded events: these arereports sent by other computers. 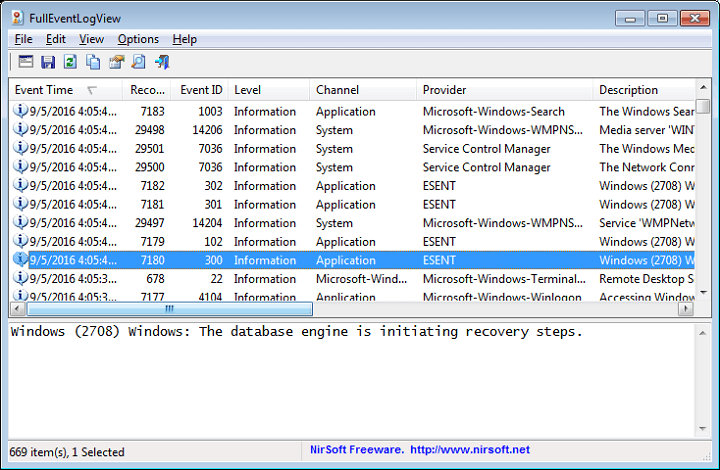 This event log viewer allows users to view, analyze and monitor events recorded in Windows’ event logs. Event Log Explorer is better than Microsoft’s own Event Log Viewer, bringing more features to the table. Thanks to this tool, users can analyze various event logs: security, application, system, setup, directory service, DNS and more. 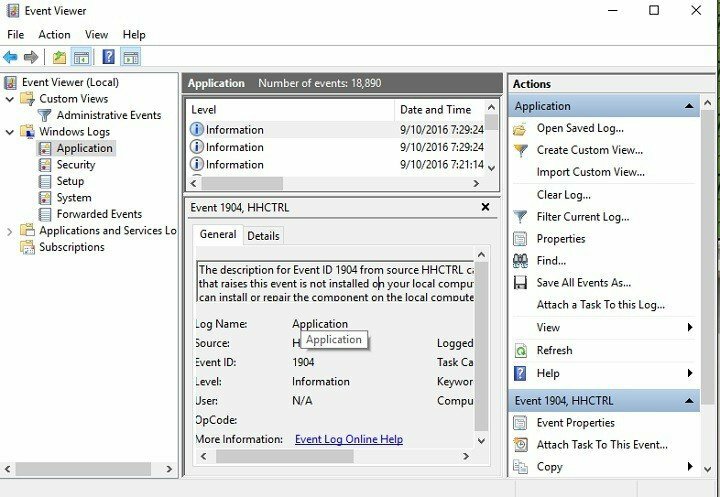 Instant access to event logs – Event Log Explorer works with both local and remote event logs, as well as with event log files in EVT and EVTX format. Efficient filtering – filter by event descriptions using regular expressions, filter by security event parameters or you can build complex filters and organize them into a filter library. Export events and report generator – export and print events. You can download Event Log Explorer from Event Log for free. MyEventViewer is another interesting, simpler alternative to Microsoft’s Event Log Viewer. This tools lets you watch multiple event logs in one list, together with event description and data. No installation process or additional DLL files are required to run this software, all you need to do is to launch the executable file. It packs only the main features and options you need to monitor your system. The simplistic interface is very user friendly. You can view the events from a remote computer. Certain events can be hidden from specific users. Events can be filtered using a series of criteria. You can download MyEventViewer from NirSoft for free. This is NirSoft’s most recent event viewer, it was released on September 9, 2016. FullEventLogView is a simple tool for Windows 10 that displays the details of all Windows events in a table. With this tool you can view the events of your local computer, events of a remote computer on your network, and you can also export these events. You can download FullEventLogView from NirSoft for free. SentinelAgent is a cloud-based Windows monitoring software. This tool registers, stores and analyzes event logs, performance metrics and system inventory from any Windows PCs, tablets and servers on your network. 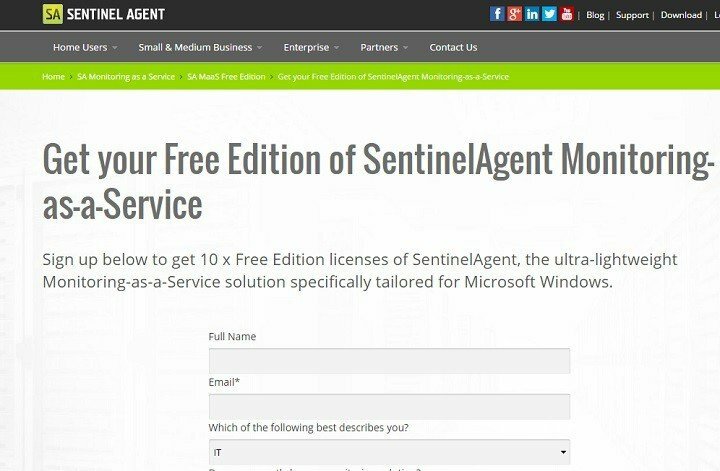 SentinelAgent is available for home users, small and medium businesses and enterprise clients. SentinelAgent for home users notifies you when your devices are having problems, and help you identify the source of the problem as well. No configuration is necessary, as the tool is already pre-configured to monitor specific computer performance elements and alert you by email as soon as issues are detected. 2.7 Mb Disk Space Required. You can download SentinelAgent for home users for free. We hope this top 5 Windows 10 event log viewers help you to choose the tool that best suits your monitoring needs. 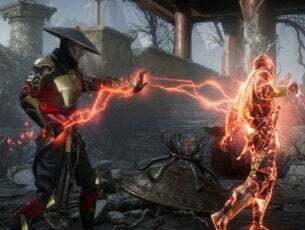 Have you already tried out some of the event viewers listed in this article? Tell us more about your experience in the comment section below.